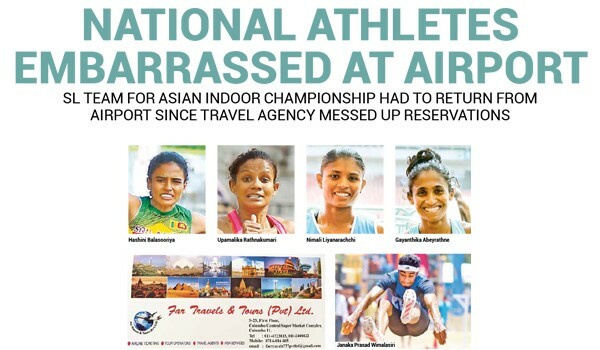 LankaWeb – National Athletes Embarrassed at the air port . 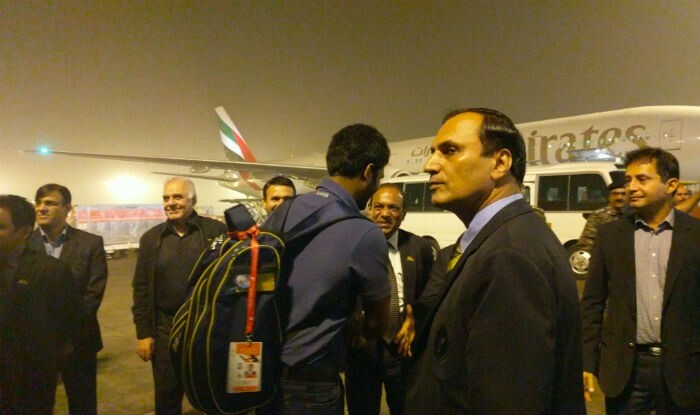 SL team for Asian Championship had to return from Airport since Travel Agency messed up reservations ! National Athletes Embarrassed at the air port . SL team for Asian Championship had to return from Airport since Travel Agency messed up reservations ! This is second time Ministry of Sports has bungles up !Sri Lanka Cricket bungling – the reason for recalling Sri Lanka ODI team frairport? Sri Lanka’s sports minister on Wednesday denied ordering the lowly-ranked national team to use witchcraft to score a surprising two-match Test series win against Pakistan earlier this month. Handsome Sports Minster wearing a Saville Raw suits ( probably) running around and playing role of judges in reality shows ,criticising all other colleagues including ex cricket captain-minister take any action against the officers responsible for this failures? These young athletes from villages hoping to bring some honour to Sri Lanka are harassed like that before even game started . President should sack them and send them home or ask them to join Veddah clan and develpp their cricket skills ? This entry was posted on Thursday, February 1st, 2018. You can follow any responses to this entry through the RSS 2.0 feed. You can skip to the end and leave a response.